So here at uiCookies, today we have come up with the perfect solution! 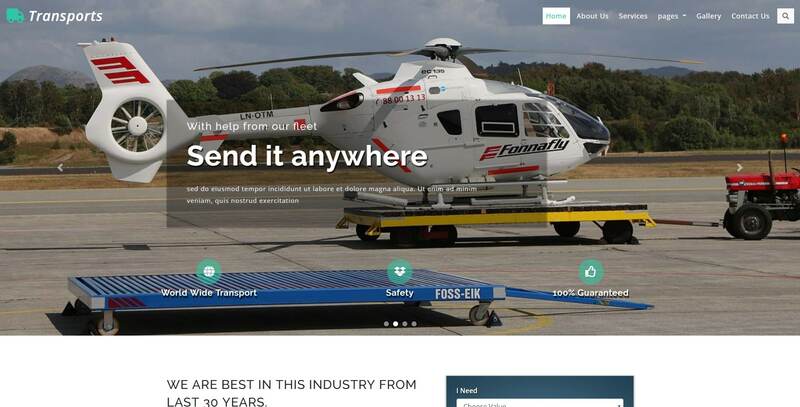 We have taken our time and effort to collect and hand-pick a list of the best free transportation website template just for you! Not only this but we have also made sure each of them is built on the powerful Bootstrap framework and excellent coding structure. The best part, however, is that all of them are completely free! So make sure you check them out and try out the one that best fits your requirement. If you own a business related to cars or transportation, Cardoor is seemingly the right fit for you! Completely responsive and retina-ready, this template is creatively designed to match the niche. Based on the powerful Bootstrap framework, this template works fluidly with every device screen size. The professional design is also extremely amazing to look at and is sure to leave a lasting impression on anyone who lands. It is ideal for car showrooms, car rentals, transportation rentals, firms or any professional agencies. The flexibility and the highly customizable platform can be modified as per your requirement with ease. That being said, not only are the visuals fabulous, it is also packed with tons of amazing features as well. Whether you want to showcase your cars and products, or start a rental service or even create an online booking site, it executes options for it all. With a rock-solid CSS and HTML structure, get stunning effects and animations. You also get professional looking Contact Forms that you can easily integrate within the site. For an even efficient space, you can also include details of the products, drivers, or more. In addition to this, the template is also cross-browser compatible and loads fast and easy. Furthermore, get a range of Google Fonts and icons that you can easily add. What’s more is that you also get easy navigation menus, social icons, useful Page elements and so much more! Try it out for yourself and see where this leads your business to. Taxi, as the name suggests, is the ideal choice for a car, transport, private drivers and similar business websites. Created with a modern, unique and stunning design frame, this template is capable of being flexible and extensible. It is completely responsive and retina-ready as well. In addition to this, the template includes tons of amazing customizing features as well. This ensures that you have the site that matches your preference. The impressive Home Page consists of sections for contact details, service details, stunning gallery sections, review sections and much more. Furthermore, it also has an interactive blog section for a more professional look and feels. That’s not all, the footer can also be customized to include useful elements like social icons, easy navigation, newsletter and more. The coding used are clean, valid and well-commented. This makes sure that the interface is developer friendly and you can change those coding whenever you wish. With cross-browser compatibility, easy and fast loading, we are sure that this template will take your site to a whole new level. Simple yet professional looking, it follows a simple aim to take make your business successful and attractive. Built using the powerful Bootstrap framework, it is advanced with features and useful elements. Get a range of beautiful Google Fonts that matches your requirement. Other useful elements included with the template are advanced booking forms, date and time picker, calendar, professional and modern sections for details, gallery and more. You also get an advanced menu style that makes the template more efficient. Another amazing transportation website template that we have in line for our users is Car Rental. 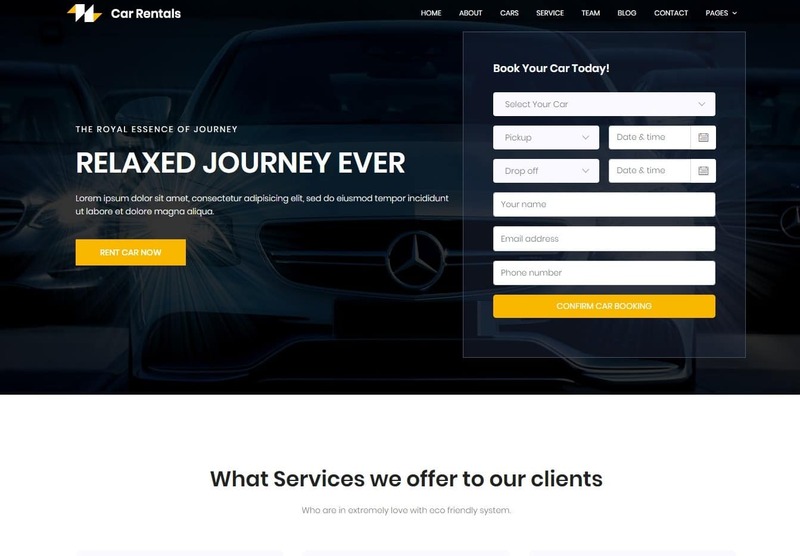 A professionally and creatively designed website template that is ideal for car rentals, showrooms, transportation businesses and website niche. Modern yet sophisticated, this template is completely responsive and retina ready. With custom options for background, menu, colour schemes, and more, this template is highly customizable. The design in itself is pretty self-explanatory as what you might expect. 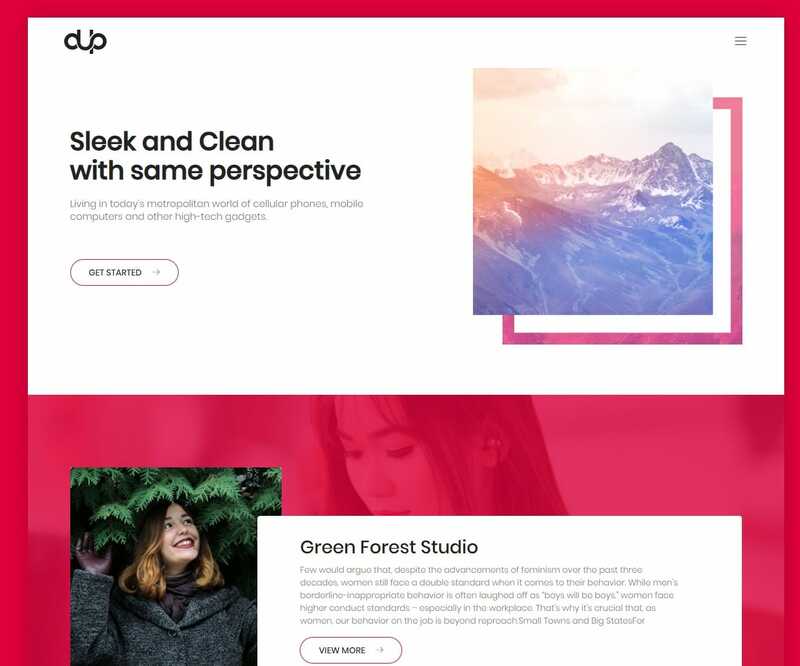 Although free to say, this template offers premium-like features that makes everything amazing, effective and stunning. It is also cross-browser compatible and features a fast-loading speed. The flexible and extensible layout structure offers useful elements to keep things interesting. Built with the advanced Bootstrap framework, it is also backed up with powerful CSS and HTML coding. In addition to this, you get a fully functioning Contact Form/booking form. Not only this but you get professional looking sections for services you offer, the products you sell or simply add a portfolio. Furthermore, it also features the exclusive blog section where you can add contents to your preference. What’s great is that you get an advanced menu style, header as well as footer customization options. Adding options for your users to subscribe to the newsletter is also easy. The interface is user-friendly, easy to use and access. Making sure site is flawless, this template is certainly amazing to say the least. 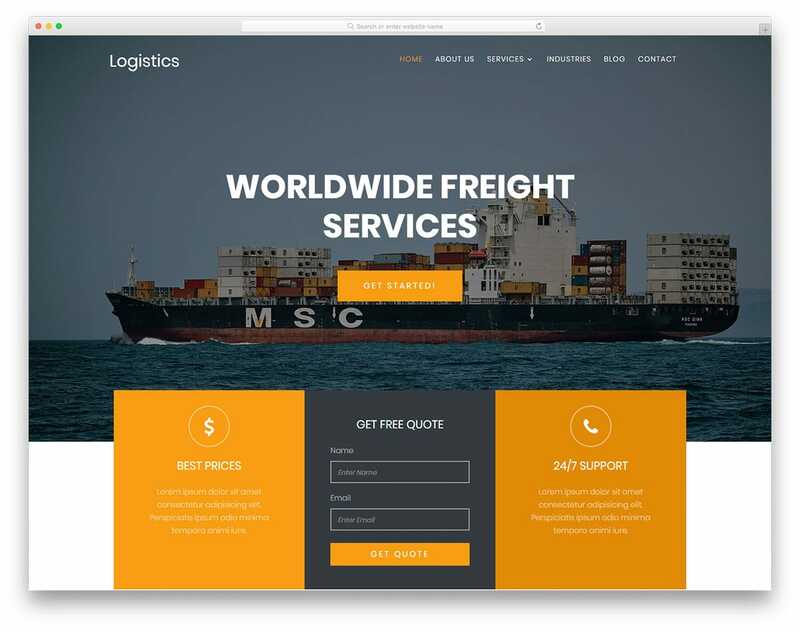 Logistics is a free transportation website template that is modern, professional looking and well-organized. Perfect for a wide variety of corporate and businesses related to transportation, rentals and more. It brings all of the range of awesome features to help you get a well-managed and professional looking site started. Ensuring a top-notch performance, this template is built with all of the things one might possibly require. From a blazing fast loading speed to a flexible and lightweight structure, it is highly scalable and versatile. The visuals are impactful and completely responsive. Adding to it, the imagery are all retina-ready and pixel perfect. So if you are even a beginner, then this user-friendly template is exactly what you need. Getting into the details, the template also has excellent parallax effects, CSS animations and transitions. It also comes with a fully functional free quote form, testimonials and newsletter subscription forms. To add in a creative touch, you can also add in creative sliders on the full-width header sections. There are tons of useful and relevant icons you can use throughout the site. And if you want, there are also sections for blog, contact, about us and more. The creative CTA’s, and social sharing icons also makes it easier for you to link your users to. Whether it is for storage, transportations, shipping or anything related to logistics, this template is the one for you. Creative, unique and stunning Freight is another great free transportation website template. With a 100% responsive interface, the clean and professional design surely stands out. It is based on the amazingly flexible Bootstrap framework as well. As it comes with a variety of easy to use options, this template is efficient and provides the users with everything you need. Graphics and overall design is pretty retina-ready and pixel perfect. Thanks to the awesome full-width image banner section, promoting anything you want is a breeze. You can even add in creative sliders, videos, promotional banners or more of your choice. Overall a great start to anything serious and business related, take your site to the next level using Freight. Now, getting more into the delightful features packed into the package, there are tons. There are hundreds of Google Fonts and FontAwesome icons you can choose to add throughout the site. For an easier navigation for users to access, you can add in advanced search boxes and drop-down menus. In addition to this, three thumbnail images with captions can also be used to highlight the important terms. From sections for blogs, galleries, testimonials, About us, portfolios and more are all included. Thanks to the CSS and HTML coding structure, there are plenty of smooth effects, animations and transitions. The template is also cross-browser compatible and loads effortlessly on all web browsers with ease. There are tons of creative call-to-action buttons, social media icons and more to choose from. 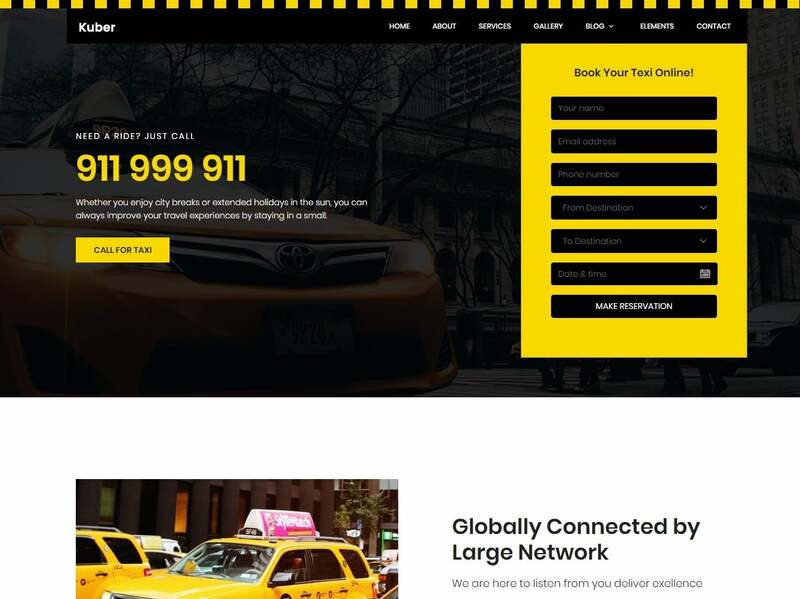 Taxi Drive is another stunning HTML website template that is designed specifically for the transportation niche. A combination of awesome layout structure alongside a list of efficient and awesome features, this template is surely one of a kind. It is ultra-responsive which means that it readily adjusts to every device screen. This includes all of the desktops, laptops, mobiles, tablets and more. It is ideal for rentals, shippings, and more that is related to cars, taxis and automobiles. Overall it is jam-packed with awesome features that makes the whole process of creating a site from scratch a breeze. It is built on the advanced and powerful Bootstrap framework. And not to mention the powerful CSS and HTML coding structure. All of these are also pretty well-commented and clean providing the users with an easy to modify interface. The template is also cross-browser compatible which makes it pretty flexible and effortless to load on any web-browsers. It even includes profesional login, registration and booking forms available. There are several sections dedicated to blog, registration, services, testimonials, and more. Vibrant yellow and black color combinations also makes it visually pleasing to the eyes. You can further elevate the design using the creative Google Fonts and a range of awesome icons. For the ease of navigating through the sites, it features a fully responsive menu style. Another great thing about this template are the awesome pages, each representing a different purpose. Overall a pretty great option to opt for, get a perfect transportation site started. Hauling is a responsive and retina-ready HTML website template that is creative and innovative. Built and designed with a professional and organized design to it, you can start any corporate and business related sites with it. The visuals are impactful and efficient which is also backed up with awesome features as well. It is based on the latest Bootstrap framework, giving the users the flexibility the users seek. The design is completely responsive and retina-ready. This ensures that your website looks absolutely stunning no matter which device it is on. The dark yet elegant scheme to it makes it more appealing to the viewers. And it is also based on the powerful CSS and HTML coding structure. 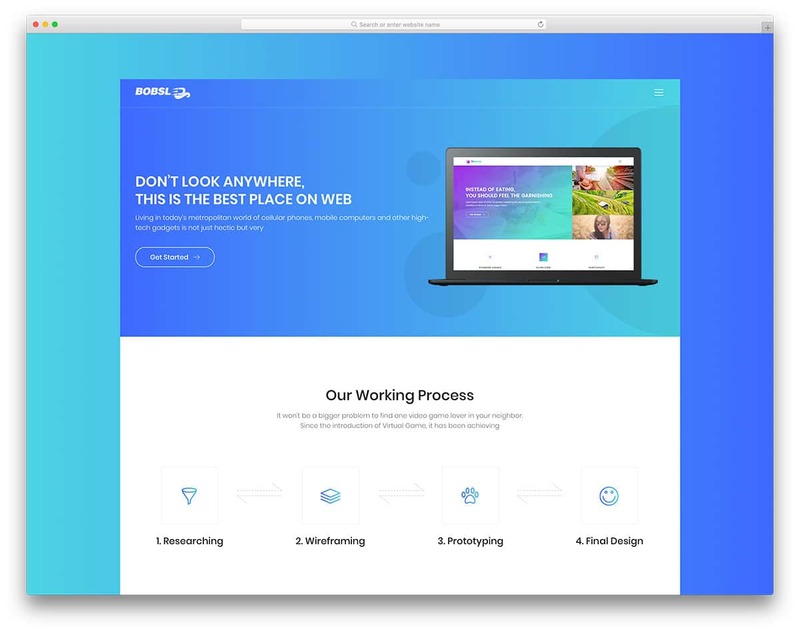 This gives way to stunning hover effects, stylized animations and transitions. You can also add in creative Sliders and Carousels to keep users engaged on the site. It is also cross-browser compatible and loads fast and easy on all web browsers. The galleries also feature exclusive light-box effects. You also get access to efficient and fully functioning elements like calendars, AJAX forms, logistics, delivery, and tons of shortcodes. Even creative social media icons are included for you to link to your social sites. There are plenty of fonts and icons for you to use to your preference as well. The easiest way to get a head start while leaving a lasting impression. Start with Hauling right away and we are sure you will not regret it. And best part of it all is that this package with all the premium like feature is completely free of cost. Motorbike is yet another stunning free transportation website template. It comes with the range of awesome features that makes it hard to resist. Along with the amazing visuals it provides template is also responsive retina ready and execute a pixel perfect graphics And while most of the templates that we have mentioned today designs in the automobile category this one is designed specifically for motorbikes as the name itself. The design is visually pleasing an is sure to engage users in all the right ways. Stand out from the crowd the easiest way possible only with motorbike. 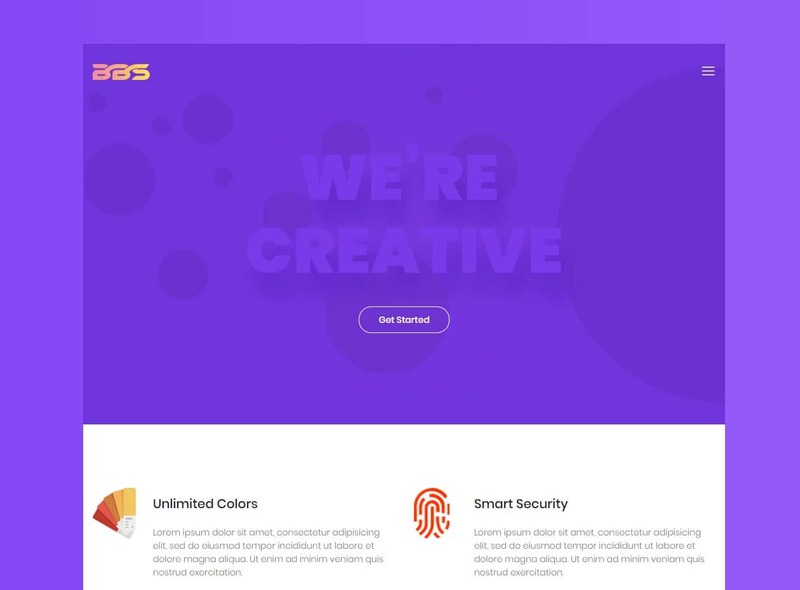 Carries is a unique, creative and innovative website template that is crafted especially with transportation business niche in mind. If you own a showroom, rental or anything similar, this template offers tons of amazing features to make your site effective. It is designed to be completely responsive and fits perfectly no matter which device you decide to use. Additionally, there is also a range of useful features that you can seamlessly integrate for a high-performing website performance. It uses the latest Bootstrap framework to meet the standard of a quality template. Furthermore, it is also backed up with the coding structure of CSS and HTML. The first thing that catches the attention of any visitor is simply the amazing Header Slider. There you can easily add your custom images and media files that you wish to highlight. Completely responsive and retina-ready, the professional navigation menu on the top also adds to the appeal. In addition to this, it includes gallery and portfolio sections that are attractive visually. You can add details and promote the services you offer right there. What’s more is that you get a range of colour schemes to choose from as well. Whether you wish to go for a more vibrant colour palette or simply something that is simple, the choice is up to you. The template is also cross-browser compatible and loads fast and easy. For a more efficient feel, you can also easily add call-to-action buttons that is sure to get results you wish for. In addition to this, it also features social icons that users can use for easy social sharing. Other major elements are the pre-built Pages for About Us, Testimonials, Blogs and more if you require. 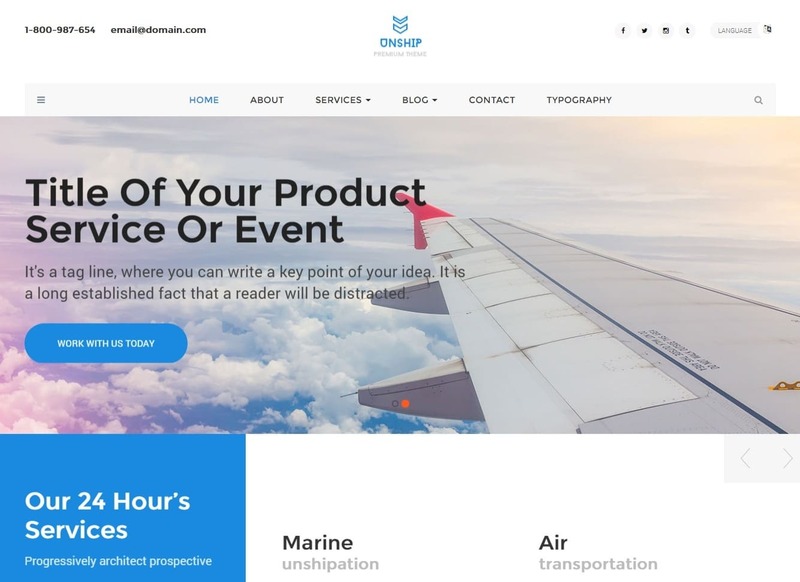 UnShip is an innovative, modern and unique transportation website template that is the ideal choice if you own a shipping, car rental or showroom. Optimized for cross-browser compatibility as well as responsiveness, we ensure that this template provides the users with a high-performance. The design that it features is professional looking with every little element that you need at your disposal. No matter whether you have a large-scale, small-scale or even a start-up company, it is perfect for it all. As it provides tons of options for easy customization and modification, the end result is sure to turn out unique and of course amazing. In addition to this, the design is also designed to be SEO friendly and makes sure that your site always stays on top of all the SERP’s. With custom fonts from Google Fonts and Icons from FontAwesome, you can add the element of creativeness. Built using the powerful Bootstrap framework, this template meets all the latest standard. What’s great is that it is multilingual as well as translation ready so that none of your international audiences is left behind. Furthermore, you get social connection buttons and icons that make it easier for you to connect with your followers. In addition to this, it also includes several Page elements for Client, Testimonial, Services, Company services and more. With the advanced CSS and HTML coding, you also get access to amazing animations and effects. But wait! There’s more! Get options for Twitter feed, language switcher, Optimized Footer, Google Map, Blog Post Heading, List Style variations all with Unship! 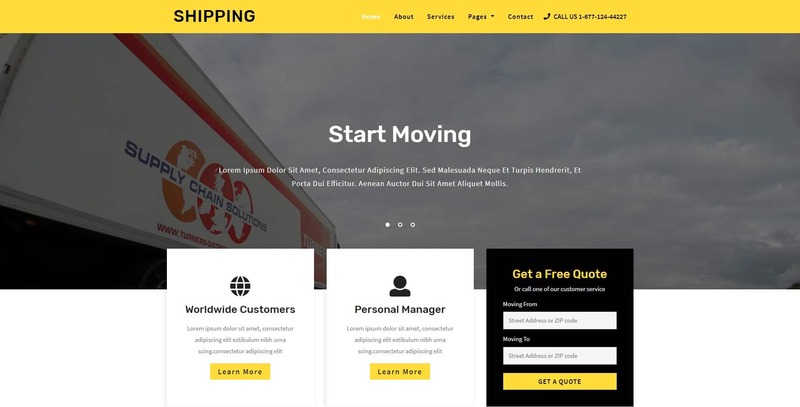 Shipping is a free transportation website template that can be used for any type of websites related to transportation. It is primarily focused on websites for shipping companies. But it’s easy to use interface and customizable options can enable you to use it for any type of transportation website. It has all the features that you will ever need on your transportation website. It has a beautiful header slider in the homepage itself that can be used to highlight a brief introduction to your services. The shipping details of the pickup address and the destination. So, your customers don’t have to keep searching for the main purpose of your website. Shipping also consists of 6 preinstalled pages for your website including the homepage. The other pages are about, services, contact, gallery, and typography pages. The gallery and the typography pages are displayed as submenu pages. So, you also have submenu options on this transportation website template as well. You can also add a customer review section with the help of this website template. This can be very helpful to attract more customers by reading the good reviews of your services from the present customers. As mentioned in the name itself, Transports is a transportation website template to fill all your transportation website needs. It is a website template most suitable for services to transport goods from one place to another. But with the help of few tweaks, it can be suitable for any type of transportation websites. It can be also used for manufacturing websites to deliver the fresh new products from one place to another. The cross browser compatibility of this website template can also be used efficiently to grow your business. Your website can be accessed on any of your and your customers’ preferable web browsers. Transports is also filled with a lot of features for your transportation website. You have an amazing delivery form with all the necessary form fields for your shipment. These fields include product name, commodity, distance, email and phone number. Furthermore, you also get a fantastic gallery where you can highlight the images of your superb vehicle fleets. You can also display the items that your transportation services. They can be mentioned with the help of attractive font and icon options. These visual representations are more eye catching to your audience rather than just plain texts. If you want to grow your transportation business with the help of the online platform, let Transco help you. It is a free transportation website template which can be used to create your transportation website with ease. It has many useful features and elements required for your transportation website. You can enter the delivery details of your product with the help of the header slider itself. The homepage header consists of fields like name of the product, transport from, and transport to. So your customers can easily use your services by just opening the homepage of the website. 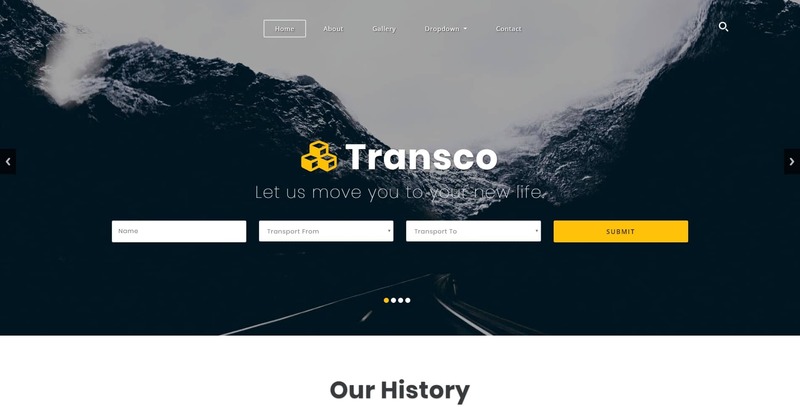 Transco also has some other useful features for your transportation website. The homepage section is followed by a history section. Here, you can provide amazing achievements, and milestones acquired by your transportation company. This can be an impressive resume for your organization and increase the number of potential customers. You can also provide details on moving services on this website. It may consist of services like local moving, long distance, commercial moving, storage services and so on. Furthermore, special services section can also be added on your website with the help of this free transportation website template. You can attract a lot of customers from here as well. 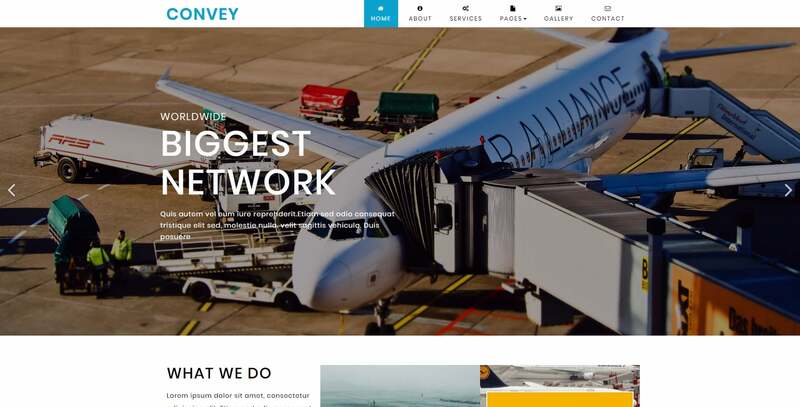 If you want to help your customers convey from one place to another with the help of a website, Convey is perhaps one of the best tools for you. It is a free transportation website template through which you can easily develop your transportation website easily. It is a feature-rich website template that has a lot of useful functionalities for your transportation website. This website template features a header image slideshow. Here, you can add an image of your services of company along with a short description of them with texts. It can be then followed by detailed information about all the services you provide in the service section as well. Convey also has a pricing table included with itself. 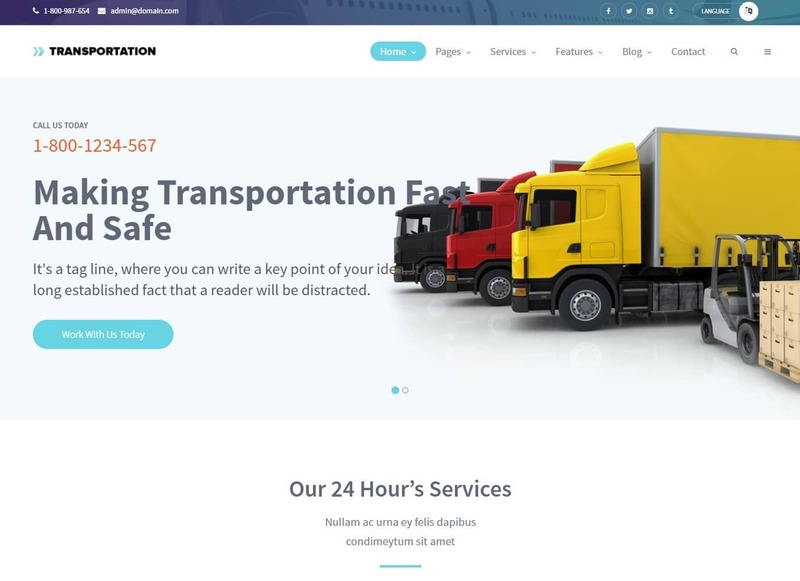 You can display various categories with its price on this section with the help of this free transportation website template. A testimonial section is also included in this website template. It is then followed by a built-in newsletter subscription option. The newsletters are also one of the most frequently demanded features on a website. So, having it on your website can benefit you a lot as well. A transportation service also needs a lot of partners. You also have a section to mention them on this free transportation website template. Car Trade is a free transportation website template that can be most applicable to car sale websites. 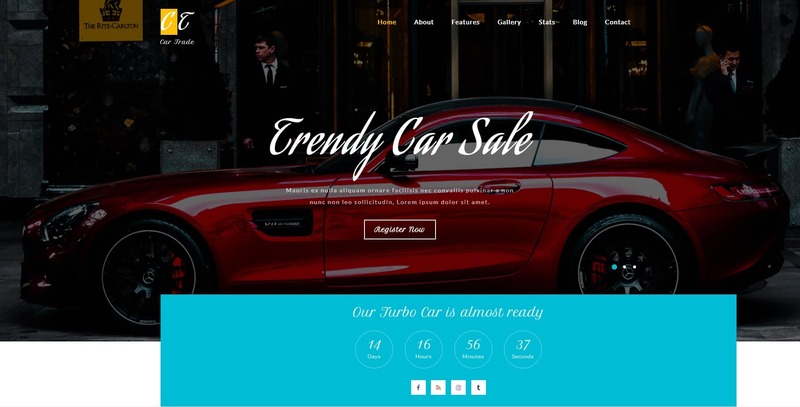 If you have a car sale service and want to take your business online, then this website template can do much good to you. You also get a lot of features with this website template that you will ever need on your car sales website. It features a nice header background where you can put superb images of your impressive car collections. You can even add a but for various tasks on the particular header section. Along with it, you can even add a countdown timer. This can be used to showcase the delivery of new cars arriving at your showroom. Car Trade also has some more elements up its sleeve to help you with your website. The header section is followed with an attractive section as well. Here you can add your most relevant picture with a brief description of your services. You can even add some more description and mention it under the read more tag on your website. The icons can also be used effectively to give better visual representation to your website services. Another advanced Bootstrap based transportation website template is Transportation. And with the name itself, it is clear what purpose it caters to! Simple, clean, and professional outlook with the theme design, the template is an amazing option to choose. And we say this not only because of the stunning visuals but also because of the effective features. Perfect for any transportation company, shipping company, rentals, showrooms, trucking and more, you can fully rely on this template to get the results you wish for. Grounded with CSS and HTML coding as well, it is packed with elements that is sure to take your site to the next level. Although a simple enough concept, it delivers everything that you might need at your disposal. No need to waste your precious time and effort starting from scratch as this template here will take care of it all. This means that no matter what type of website you are going for, this template can be modified to fit your need. It is cross-browser compatible as well. And because of the simplistic nature, this template is lightweight and fast loading. What’s more is that it is optimised for SEO as well. To ensure that connecting with your users is a piece of cake, it also has options for easy social media integration as well as social media icons. Get a range of stunning looking Google Fonts that you can easily switch to and from. The elegant fixed or sticky menu that it features also makes the navigation experience easier. Get a range of layout variations as well as styles for blog, portfolios and more that you can choose from. Start up your professional and efficient website up and running right away only with Transportation! 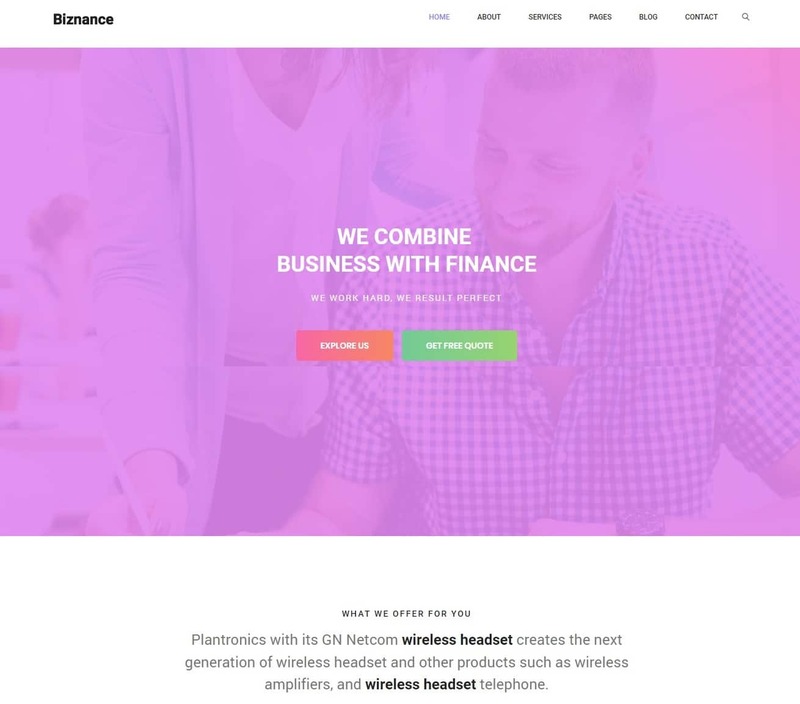 Biznance is a creatively built multi-purpose business website template that we are sure you will love. Not only can you use it as a transportation website template but it is flexible enough to match the needs of any business niche. It is perfect for professional use and features an attention-grabbing layout structure. The template is readily responsive and features excellent visuals as well. Even the fonts and typography options from Google Fonts adds the missing element of creativeness. Based on the advanced Bootstrap framework, it is powerful and features an amazing range of options for a great online experience. Optimized for cross-browser compatibility, retina-ready feel as well as SEO, this template is sure to keep your site unique and always on top. As it is a business theme, it is aimed to provide the best features that enable you to achieve your desired result. It sports an attractive Parallax effect that enhances the overall look of the template. The Google Map integration lets the user to easily add custom location and map for their visitors. What’s great is that the template package includes Page templates for blog, portfolio, testimonials, About Us, and more. This ensures that everything you need is right at your disposal. The custom options for the Featured Image, background, menu style and layout variations gives your site that unique and custom feel you are looking for. The codes used to write the template structure are all clean, valid and well-commented. It includes a working Contact Form that makes the process of interacting with the visitors a breeze. Additionally, integrated with most of the social media, it provides easy social sharing. Get it for your site today and that too for absolutely free! 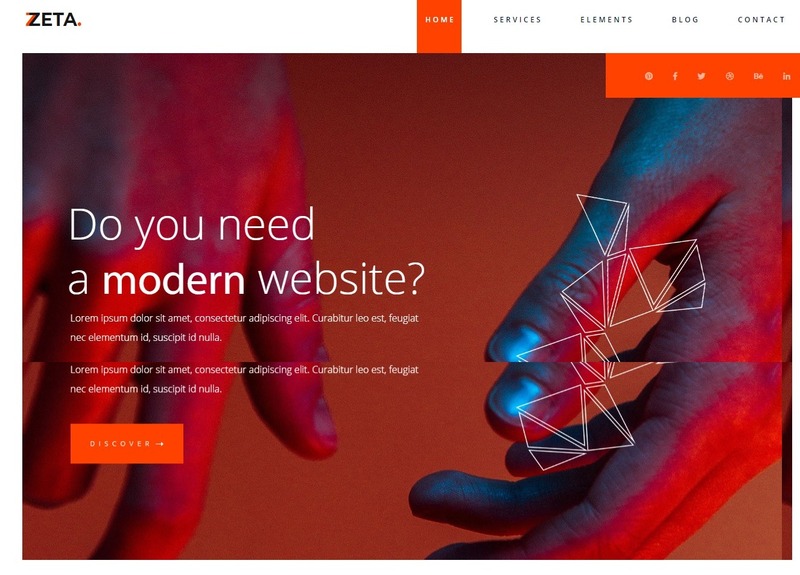 Yet another stunning free business website template that we recommend our users is Stellar. Built with a unique concept and multi-purpose design structure, it perfectly fits the transportation website template niche as well. The interface is uniquely built with support for video background, and highly customizable design. And this is exactly what you need to get you and your business known out there in the world. While people would opt for something simpler why not dare to go the different route and stand out from the crowd. The creative and innovative design is sure to catch the attention and make your users want more. Not only this, but it is also built to be fully responsive and automatically adjusts to every device screen with ease. Not to sound obvious, but it is loaded with amazing features and elements that makes this template even great! Get an amazing range of fonts and icons to match your preferred layout theme. As it is highly customizable, the end result is completely up to you. It is cross-browser compatible and loads fast and easy no matter which browser you prefer. The stunning One-Page design also features easy social sharing option and social media icons. Highlighting your main content has never been so easy. It features sections for adding your contents in an appealing manner in blogs, gallery, and more. Built with the powerful Bootstrap framework, this theme is flexible and extensible. Ideal for business websites of all niche, this free theme is definitely worth a shot! 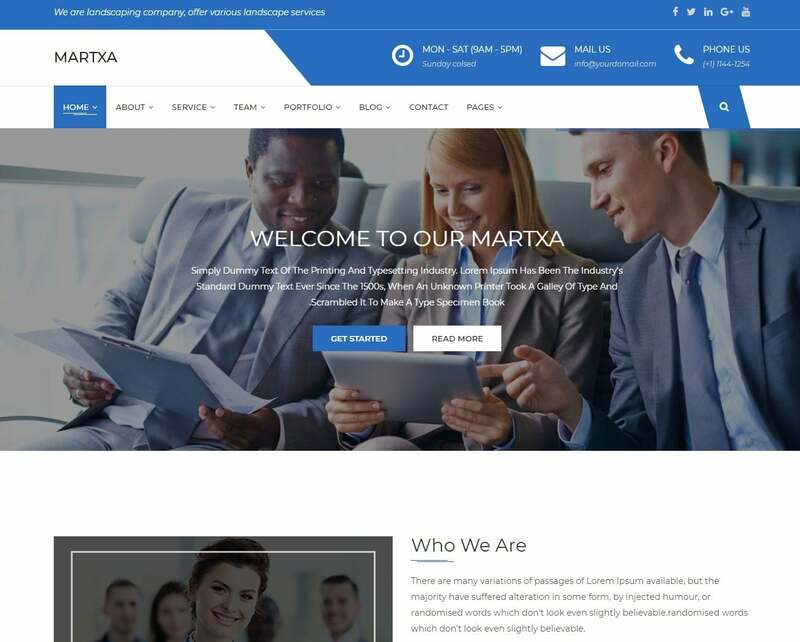 A professional, modern and clean website template, by all means, Martxa is definitely an option for those looking to start a business website. Completely responsive, retina-ready and simply stunning to look at, it is ideal for every business niche. Whether you own a small-scale, large-scale or even start-up sites, it is flexible enough to meet all of your needs. This includes transportation based websites as well. Optimized for SEO, it also ensures that your site always stays on top of all the major SERP’s. In addition to this, it fully supports RTL languages and is also translation ready. 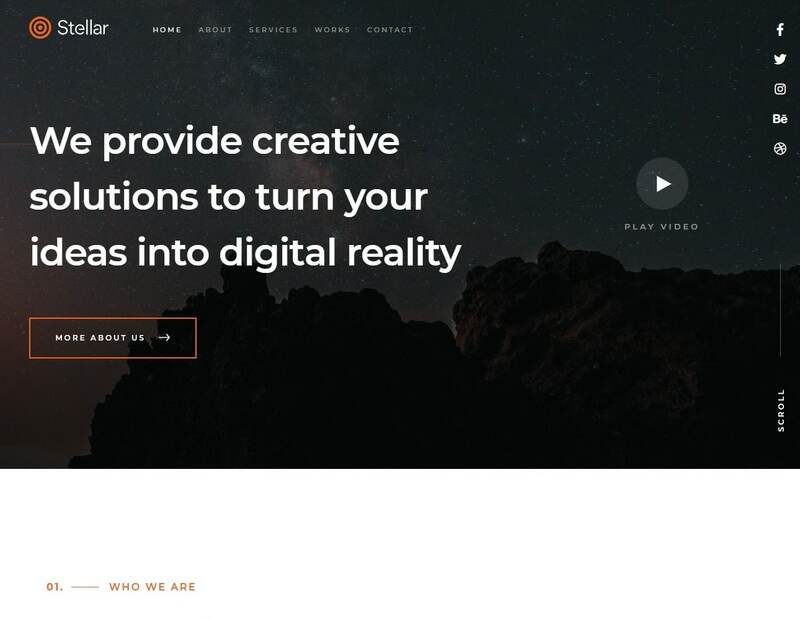 The One-Page design is also effective with the stunning Parallax effect. 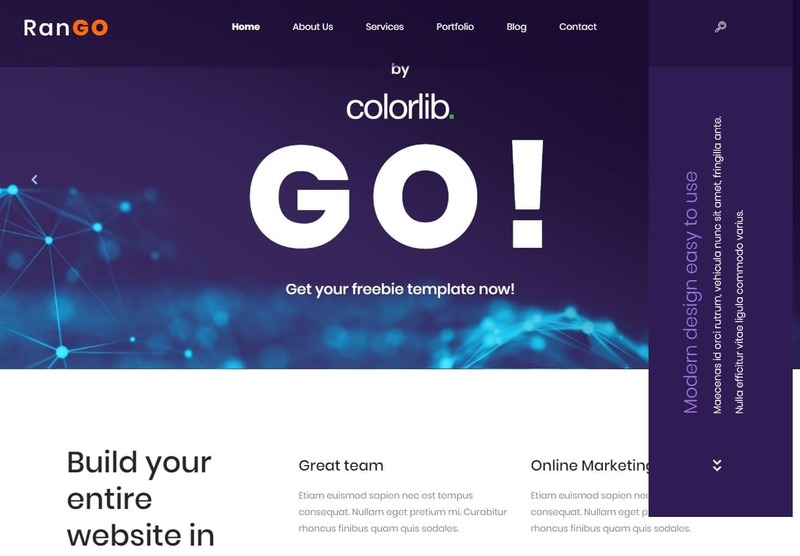 Another great thing is that it is fully cross-browser compatible which means that you can load this template fast and easy no matter which internet browser you prefer. Based on the Bootstrap framework, it all adds up to the meet the standard for a quality theme design. In addition to this, it also features an amazing Parallax effect that adds the extra appealing factor. What’s more is that the enticing timeline includes interesting elements like scroll content load feature, animated statistics and more. Designed to build your sales and clientele number, it also offers a range of Google Fonts to choose from. It includes a section for portfolio, blog, contact that are pre-made. This ensures that you don’t waste your time and effort starting from scratch. 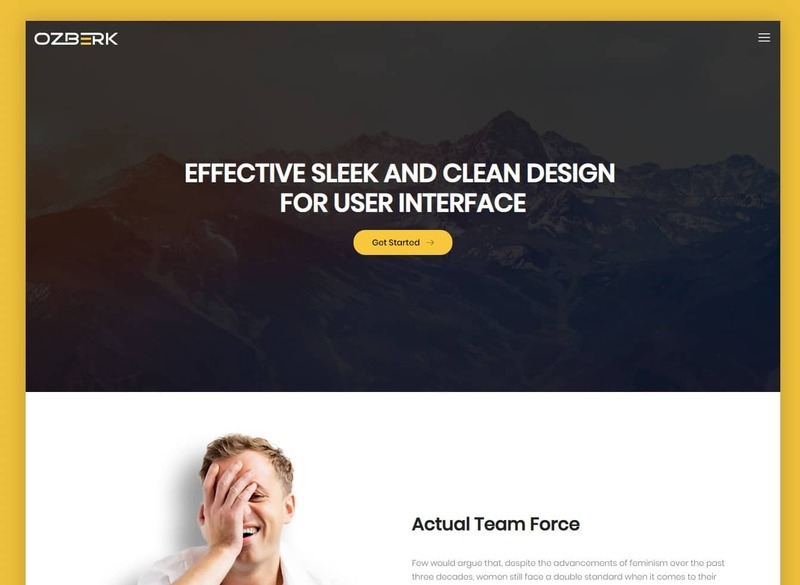 Straightforward designed to skyrocket your business, other advanced feature of this template include easy social sharing option, custom colour schemes, creative fonts and icons, Google Map integration as well as CSS animations! 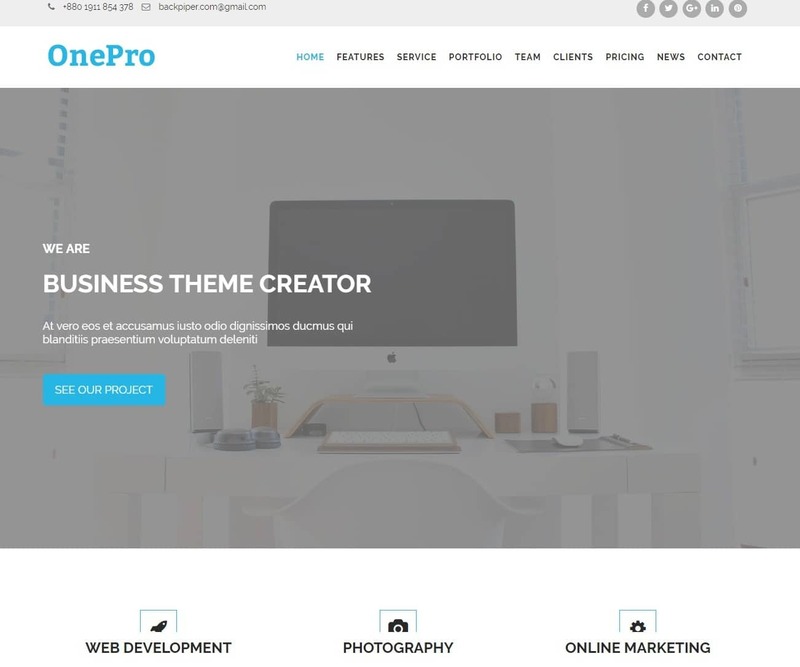 OnePro is a multi-purpose free website template built especially with corporate and company websites in mind. With a responsive layout that features excellent HD imagery, this template is visually stunning. It is professional, modern and is based on the powerful Bootstrap framework! 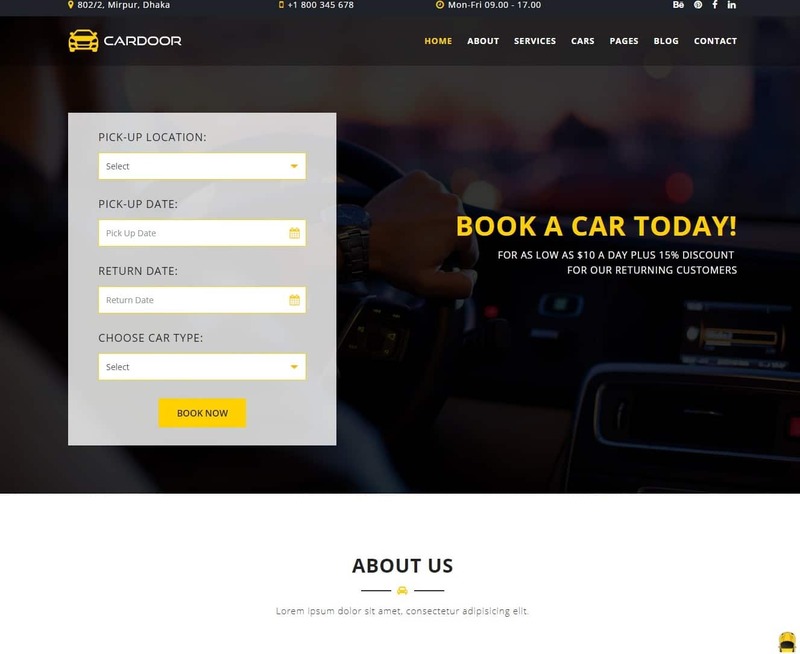 Not only this but the flexible and extensible layout structure can even be used as a transportation website template for car rentals, showrooms, shipping and more. But that’s not all, it is developed with the purpose of catering the needs of every business niche. Which means that once you have this template, no matter what business you are involved in, it is perfect for use. The first thing to catch the viewers attention is surely the creatively designed Featured Image background. That’s right! But that’s not the only impressive element! Completely responsive, cross-browser compatible and retina-ready, it includes tons of features that make it a perfect choice. The convincing Slider it features is followed by the amazing skill bars and services section. What’s more is that it also features an attractive blog and gallery section. In addition to this, it also includes appealing CTAs or Calls to action buttons to convince your users. The single Page design is also fast-loading which ensures a quality workspace for you. Other useful sections of this template include pricing tables, testimonials, and easy navigation option. The fully working Contact form also adds to the effectiveness of it. So start today and create a one-of-a-kind website to leave a lasting impression, only with OnePro. Rango is a fantastic option if you are looking for something that fits your business niche perfectly. And by that, we mean that no matter which business niche you are involved with, whether small, large or start-up, this amazing template fits all. As the layout is user-friendly even for beginners and novices find it easy to come up with a professional site in no time. Completely responsive, retina ready and amazing to look at, this template makes your site leave a lasting impression on anyone who visits. The best thing, however, is that the feature-rich template package costs absolutely nothing. But definitely, do not go by the sound of it as this theme is as premium as any. That’s right it is easily customizable, user-friendly and offers tons of variations for you to choose from. The template follows all of the latest standards for a quality theme and is built using the powerful Bootstrap framework. The attractive Header and Featured Section works great to highlight the content of your choice. Additionally, the tempting index pages add the extra creative element. Furthermore, you also get a custom marker, and custom widgets making it more effective. For your convenience, it also offers easy social sharing option. What’s great is that it is completely RTL and translation ready. The elements like the parallax effect, organized sections and full-screen slider takes the visuals to a whole new level. To make sure your users stay connected, it also comes with a fully functional Contact form that you can utilize. So why not skyrocket whether it is transportation or any other niche with Rango today? 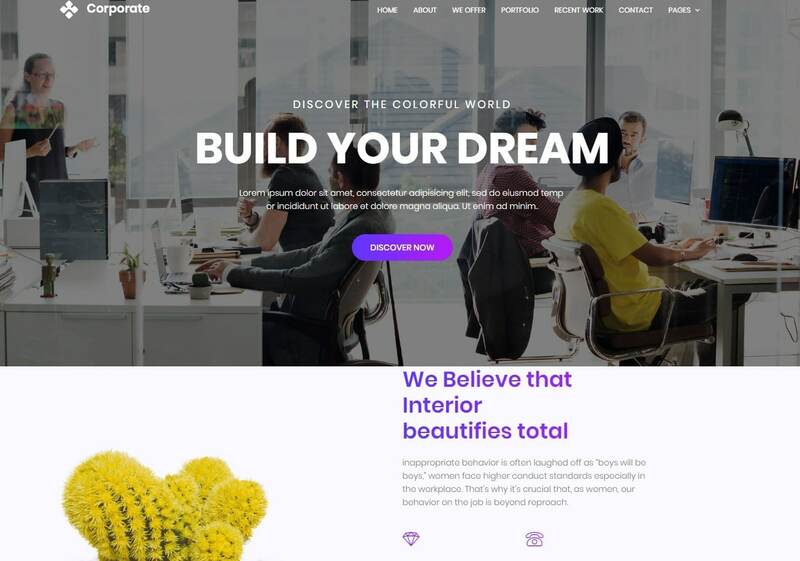 Zeta is a vibrant, chic and modern business website template ideal for every category of businesses out there. Whether you deal with corporations, organizations, agencies, studios, transportations, cargos or shipping, this template is sure to take care of all your needs. Backed up with powerful and advanced features, it has made sure to leave no stones unturned. That’s right, from easy customization options, to excellent visuals to stunning and effective sections, you get it all in one! Built using the powerful Bootstrap framework, this template is ideal for both beginners and experts. The interface itself is professional and sleek, but it’s the amazing range of features that makes it even great. With careful attention to even the simplest of things, this template specifically focuses on making an impressive platform for your business to shine. The template features clean, valid and well-commented CSS and HTML coding structure that makes sure that each element are efficient. Not only this, but these codes are modifiable and extremely developer-friendly. It is also completely responsive and retina-ready and features HD imagery. The accordions, loaders, and buttons also matches the theme design to give a more modern outlook. Easily connect with the audience on your social media using the social media icons available. Another plus point is that you can also add creative progress bars so that you can keep track. It also includes sections for blogs and galleries that lets you add contents that you wish to share in a ziffy. And what’s more is that it is cross-browser compatible and features a fast loading time. 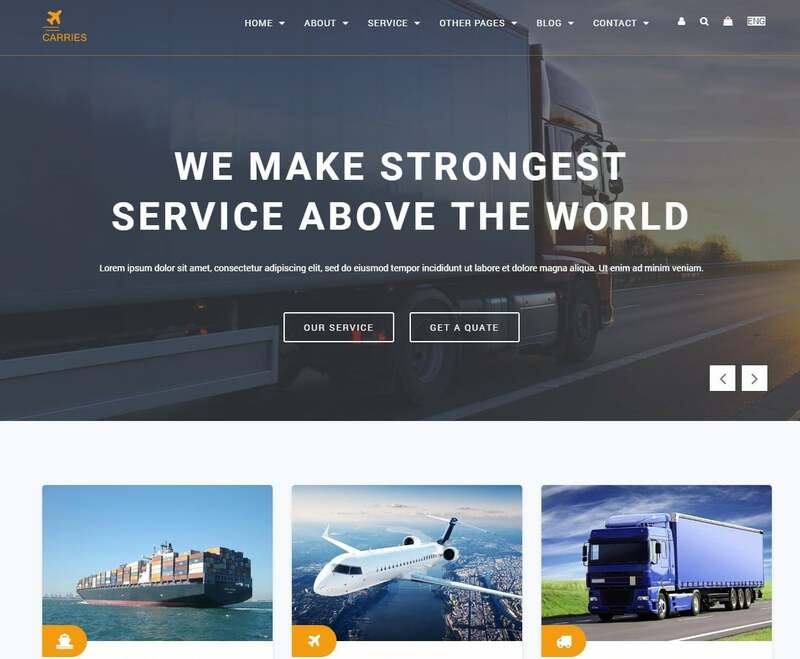 Just as the name would suggest, Corporate is yet another stunning creative business website template that we would suggest for your transportation service. That’s right, with a multi-purpose concept, it is ideal for websites of all business categories. Aimed to promote your business at a higher level and scale, it is complete with tons of amazing options and features that will make your site stand out. The layout is also completely responsive and retina-ready. With visually attractive yet a simple approach, it gives the user the professional look and feel for their business site. Don’t be fooled by the word Free as this template package includes serious premium-like features. Leave a solid and lasting impression on anyone who lands on your site only with Corporate. It includes easy customization options as well that is a great asset. It ensures that your end result is unique and completely under your control. Additionally, it is also cross-browser compatible. Created to reach out to a larger audience, Corporate is also RTL and translation ready. The appealing Featured Header section lets you upload a custom image. In addition to this, it includes various Pages pre-built so that you don’t have to start from scratch. The blog and the portfolio sections make it easier for you to share contents. Even sharing them on your social sites is extremely easy. Furthermore, the Bootstrap-based framework also includes a range of Google Fonts you can switch to. The HTML and CSS coding is well-written and easy to modify. Get a user-friendly theme that adjusts according to your preference and needs only with Corporate! Another popular choice of people looking for a professional website template is Creative Agency. It is flexible, versatile and easily adjusts to all your requirement with ease. With premium-like features and a range of styles to choose from, this template is definitely worth a try. Whether you own a large scale, small or even a startup business, it fits every niche. With a creative, innovative and multi-purpose design, there is no doubt you can even use it as a transportation website template. That’s right, you can promote, brand and make a successful business site in no time. Completely user-friendly and based on the powerful Bootstrap framework, this template is no doubt the ideal choice. The simple and clean design structure is effective in focusing your attention on useful news and contents. That’s right! Another plus point of having a one-page minimal theme is that it is lightweight compared to others. With a range of typography and font option, a great colour palette to choose from and tons of other easy customizing options, this template is definitely flexible. A few tweaks here and there can give you an entirely customized and unique look for the site. The creative and appealing CTAs (Call-to-action) buttons also add to the appeal. Furthermore, the template is cross-browser compatible as well. The massive parallax banner section on the top is the first thing to catch your attention. But the advanced features and elements that users find while using this template are what leaves them wanting more! 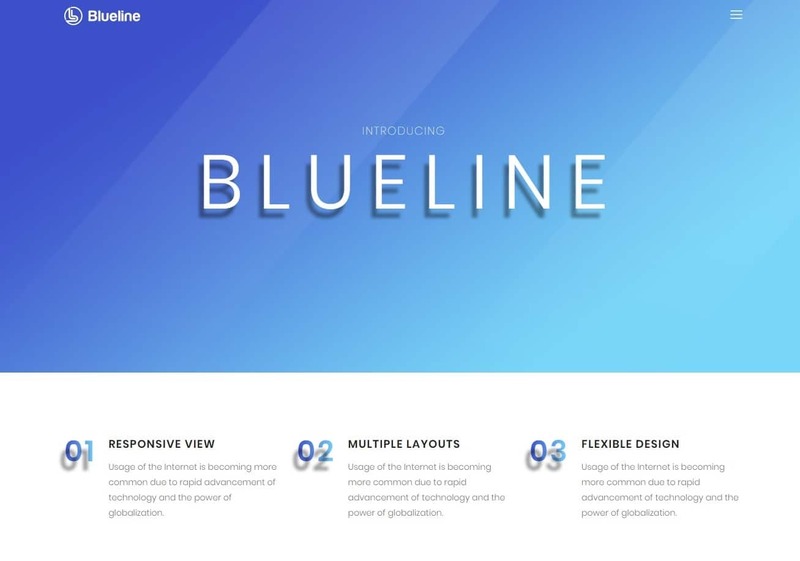 Blueline is an elegant, chic and sophisticated website template that is designed with simplistic features. Perfect for small, local and home based business niche, you can even use it as a startup transportation website template. The design in itself is minimal and appeals to the users who wish to visit. But that does not mean that it is less than any other on the list. Ideal for those wishing for a clutter-free and neat workspace, this template offers exactly what they are looking for. Additionally, it is built using the Bootstrap framework and provides tons of amazing customizing options. It is responsive and retina-ready and features a flawless outlook. The simplistic approach towards the design also adds to the lightweightness of it. This ensures that the loading time is faster compared to others. It comes with multiple layout choices for you whether you want to go for a one-page or multi-page design. The beautiful Header and the stunningly gorgeous Sliders lets the user easily add an appealing feel to the site. Additionally, the sections divide for blogs is also extremely efficient and content-centred. For an easy access to your social media sites, you can even add the social media icons. In addition to this, you also have the option to utilize the fully functional Contact forms to collect your user’s data. Even adding options for Newsletter is a breeze with Blueline. With the CSS and HTML coding structure offers a set of stunning elements. Furthermore, the parallax effect that adds to the creative approach is amazingly effective. Dedicated to the niche of professional transportation, Ozberk is another stunning option that you can try out. Completely responsive and retina-ready, this template is efficient, modern, minimal and visually appealing. In addition to this, it is also extremely user-friendly which means that even beginners can easily use this template. Vibrant and eye-catching, this template offers stunning sections for services, blogs, galleries, teams, and more. Powered by the powerful Bootstrap framework, this template is advanced with the features. Meeting all of the latest standards that you require for a standard and quality performance, it is certainly the right choice. The clean and light-weight design is complemented by the typography provided with the integration of Google Fonts. What’s more is that you can display your services, add forms for booking, reservations and membership. In addition to this, you get an HD imagery that makes sure that the template is absolutely flawless, to say the least. Ozberk is also designed to be cross-browser compatible. Minimal, professional and effective, Dup is a corporate and business based website template. However being highly versatile and easy to modify, this template can be used for other types of niche as well. Powered with the Bootstrap framework, this template is content focused and eye-catching. It is completely responsive and readily adjusts to every device screen size with ease. In addition to this, the vibrant and default colour schemes can also be changed with a few clicks. Add custom elements and make this template end up to your liking. What’s more is that it is cross-browser compatible as well. This ensures that no matter what browser whether Chrome, Mozilla or even Safari, the content loads effortlessly. The CSS and HTML coding used are well-commented and developer friendly. But the simplistic approach to the design also benefits the size and the speed of the theme. Furthermore, to ensure that your site is always on top, this template is SEO optimized. Check it out for yourself today and get results you aim for! 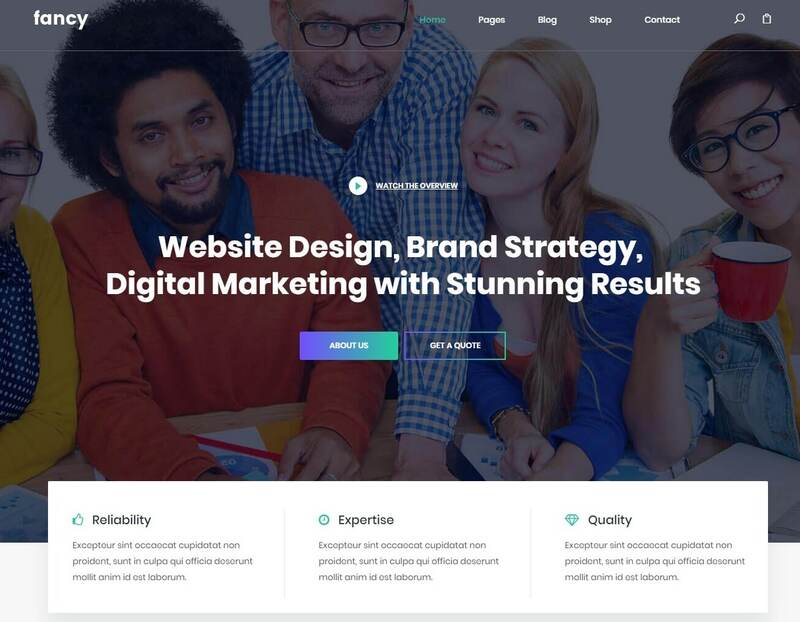 Bobsled is yet another modern and unique conceptualized corporate website template. Designed to suit each and every scale of business and their websites, it executes features that are sure to help you build your dream site with ease. It is completely responsive and automatically adjusts to every device screen size. 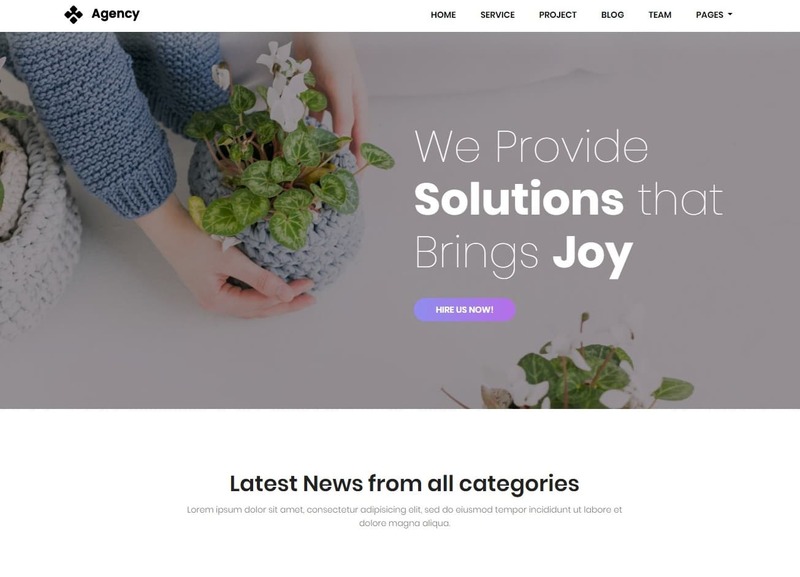 What’s great about this theme is that it is highly flexible which means that you can even use it as a transportation website template as well. You can even customize the elements, logos, background, fonts and more to give it a custom makeover. Perfect for agencies, it comes with features like advanced sections, forms, call-to-action buttons, social media icons and more. But that’s the least of what you get. The template also loads effortlessly on all the major internet browsers. And that too super fast as this template is also optimized for speed. As per the content-focused design, you can easily add blog section and informative contents according to your preference. It also supports video files so that you can add interactive and engaging contents for your users to enjoy. Fancy as the name suggests is a fancy design based business website template fit for every niche of business. Whether you are a freelancer, own a company, manage a business or more, this template is surely the ideal choice. Powered by the Bootstrap framework, it is graphically and visually advanced. It is designed to be responsive and features excellent imagery. This ensures that the site you build always looks flawless. What’s more is that this template offers custom options for the logo, pages, colour schemes, and more. You can use it to promote your business, start a newsletter, reach out to a larger range of audience, start advertisements and more. It comes with a detailed and fully-functional Contact form that you can use to your benefit. Integrated with Google Maps you can also easily add maps to showcase your locations. In addition to this, you also get stunning sections for blog, gallery, team, services, pricing and more. The attractive call-to-action it includes also appeals to your users and is sure to boost your sales. Not only this but it is also cross-browser compatible.